Chances are that you have heard about a trend called oil pulling. While this trend seems to be rather new, it actually has been around for a very long time. Oil pulling was primarily used by Ayurvedic medicine. The process involves swishing about a tablespoon of oil in your mouth for 15-20 minutes and then spitting it out. Is Oil Pulling Good For Your Health? Unlike many of the latest health trend fads and natural home remedies, oil pulling is actually based on science. Just as we are able to tell a person’s health by looking at their tongue, Ayurveda teaches that each section of the tongue is connected to different organs in our bodies, such as to the kidneys, lungs, liver, heart, intestines, etc. There are three oils that are commonly used for oil pulling: sesame, sunflower, and coconut. While all of these oils offer bacteria fighting benefits, it is often recommended that you use coconut oil because it contains lauric acid. Lauric acid is known for having anti-microbial agents, which makes using coconut oil for oil pulling much more effective. When you first start oil pulling, it is recommended to try for about 5 minutes a day, and work it up to 20 minutes. Do this first thing when you wake up, before brushing teeth: Put a spoonful of oil of choice in your mouth, and then go about doing your morning routine of preparing breakfast and time will be up before you know it. Swish the oil gently in your mouth, not like how you would gargle mouth wash, but just gently. It is true that the longer that you swish the more bacteria you will pull. 15-20 minutes will be good enough time to see the immense benefits. It is important that you do not swallow the oil. If the amount in your mouth makes it hard not to swallow, spit it out and try again with a smaller amount. You should never spit the oil into your sink as it could harden and clog up the pipes, especially in cold climates. Spit the oil out in your trash bin instead. Rinse your mouth out with warm water and brush your teeth gently as normal. Repeat three or four times a week for best result. Who Should Try Oil Pulling? Oil pulling is something that can be done by anyone and everyone will see some benefits of the process. For those who juice or drink a lot of acidic beverages, oil pulling can be extremely beneficial. Oil pulling can help get rid of these acids and protect your oral health. It is important to remember that oil pulling should not replace regular brushing and flossing. You should also still visit the dentist on a regular basis for care. 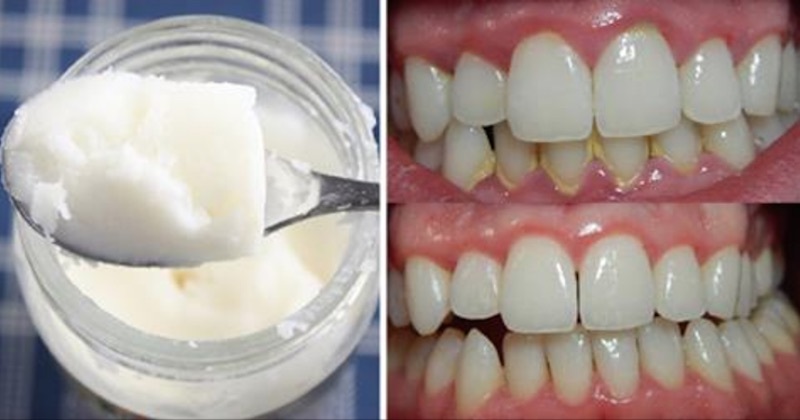 Oil pulling will not reverse tooth decay, but it can be helpful as an additional therapy.